We live in a society awash with chemicals, some of the most common being petrol, diesel, carbon monoxide emissions, pesticide residues, plastics, flame retardants, solvents, diverse synthetic chemicals, polychlorinated biphenyls (PCBs) and metals. We can be exposed to these chemicals through food, water, inhalation and skin contact, and in different settings such as homes, schools or in the workplace. The manufacture and use of industrial chemicals has increased more than 15-fold in the past 70 years, and concern is growing about the impact on human health. It has been estimated that over 100,000 toxic substances are in commercial use and approximately 2300 new chemicals are developed and submitted for registration every year. The capacity for industry to produce new chemicals outstrips research, which means our understanding of the long-term health effects of many substances is limited. Industrial chemicals are not evaluated to the same degree as pharmaceutical products. Before a new prescription drug is licensed for use in the UK, it goes through a prolonged process of development and approval, incorporating laboratory and animal testing followed by clinical trials on human volunteers and patients. This process can take 10–15 years to complete and is very expensive. 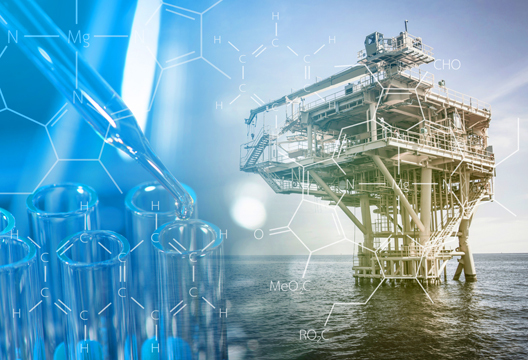 In contrast, the regulatory framework for industrial chemicals allows many products to enter the marketplace that have not been thoroughly evaluated. Neurotoxic substances can have a wide spectrum of effects. They may injure the nervous system directly, damaging dendrites, axons, myelin, neurons or supporting cells; they can interfere with neurotransmission; and they may damage organs such as the liver and kidneys, causing a build-up of toxic substances in the blood. Neurotoxic substances can also interfere with other processes, such as immune function, protein synthesis, energy conversion, oxygen transport and gene expression. In an ideal world the dose–response relationship for each potential health effect would be known, but ethical, financial and methodological constraints and concern for the welfare of animals mean only a small number of health outcomes are studied (such as acute effects and mortality). Few chemicals are subjected to behavioural and neurological analysis, yet many substances have the potential to interfere with nervous system function causing cognitive, emotional and behavioural change. An increasing number of clinical and epidemiological studies have appeared in the literature over the last four decades exploring the neurobehavioural consequences of exposure to toxic substances. Unfortunately they differ in terms of methodological quality, study design and study populations making it difficult for researchers and policy makers to reach firm conclusions regarding the toxicity of many chemicals. It is only in the last decade that researchers have tried to resolve some of these outstanding scientific controversies by applying systematic review techniques, commonly used in healthcare, to summarise, aggregate, quantify and statistically analyse the findings of earlier work. Such reviews of this literature have led some researchers to attribute the rise in neurodevelopmental disorders to increased exposure to industrial and environmental chemicals. For example, in a 2014 paper Philippe Grandjean and Philip Landrigan reviewed the scientific evidence linking exposure to industrial chemicals and neurodevelopmental disorders and concluded that genetic factors alone are unable to account for the increased prevalence of these disorders and that exposure to neurotoxic substances during critical stages of brain development can cause brain injury at doses much lower than those affecting adult brain functions. They recommend that all existing and new chemicals be tested for neurodevelopmental neurotoxicity, and they constructed a list of substances thought to be particularly dangerous, such as lead, methylmercury, PCBs and pesticides. Other researchers have suggested the rise in neurodegenerative disorders may be due to increased exposure to industrial and environmental chemicals, because common targets and pathways have been found to underlie pesticide exposure and neurodegeneration. Fernando Sánchez-Santed and colleagues reviewed the literature last year, concluding that the association between pesticide exposure and Parkinson’s disease is compelling, but less so for Alzheimer’s disease. Many other researchers have reported a link between exposure to industrial and environmental chemicals and the development of mood disorders and cognitive impairment during adolescence and adulthood. Pesticides are one of the most frequently studied substances, organophosphate pesticides (OPs) in particular. Animal studies show OPs have a detrimental effect on the neurotransmitters involved in mood regulation, memory and learning, which could explain the association between pesticide exposure and neuropsychological and psychiatric symptoms so frequently reported in epidemiological studies (Stallones & Beseler, 2016; Mackenzie Ross et al., 2013). Studies have also identified individuals who are at greater risk of developing ill health following exposure to toxic substances because of inter-individual differences in the capacity to metabolise and detoxify certain chemicals. For example, gender differences exist in the ability to detoxify certain chemical substances, alcohol being a particularly well-known example; and 4 per cent of the population are unable to metabolise organophosphate compounds effectively. Children and the elderly may be at greater risk of sustaining neurotoxic damage than adults, because the organs involved in metabolising and excreting toxins (e.g. liver and kidneys) may not be fully developed, or may be compromised by ageing and the co-existence of other health conditions. The identification of risk factors is particularly important, as possible targets for prevention and/or intervention can then be determined. Aside from inter-individual differences in the ability to metabolise various neurotoxic substances, people in particular occupations (e.g. farm workers, painters, transportation workers) or those who live in developing countries are potentially at greater risk than others because they may be exposed to much higher levels of toxic substances and adequate protective clothing and monitoring may not be available. This is particularly true of individuals who live in developing countries where health and safety regulation is lacking or ineffective. Agriculture is the main source of employment in many developing nations with anything between 50 and 90 per cent of the population employed in this industry. However, agricultural production in developing nations is very different to that seen in industrialised nations. Small farms are more prevalent in developing countries, and productivity is often limited by low income, poor education, lack of technological innovation and mechanisation, unproductive soil, drought, plant pests and diseases. As a result, farmers rely upon fertilisers and pesticides to increase yield. For example, government figures from China suggest that up to 123,000 people are acutely poisoned by pesticides each year; epidemiological studies of Chinese farm workers report a link between pesticide poisoning and both reduced cognitive function and increased psychiatric morbidity (Zhang et al., 2016). Studies from other parts of the world have identified adolescents as being at increased risk of sustaining psychological injury following pesticide exposure, as they are frequently employed by the agricultural industry to apply pesticides and have not yet reached maturity in terms of brain development. For example, Diane Rohlman and her team undertook a 10-month prospective study of adolescents employed to apply pesticides to cotton crops in Egypt and found that those with higher exposure (measured by urinary metabolites) performed significantly worse on neuropsychological tests (including psychomotor speed, attention and executive function) than those with lower exposures; and worryingly, the deficits persisted for several months after the application season had ended. Other researchers have found that merely living near agricultural fields or crop plantations where pesticides are routinely used can be risky. A cross-sectional study of 140 children living close to banana and plantain farms in Costa Rica (van Wendel de Joode et al., 2017) observed a link between higher urinary markers of exposure to pesticides and poorer performance on tests of working memory, attention, processing speed, learning and visuo-motor coordination. The findings from developing nations are particularly concerning because chemical manufacturing is expected to grow fastest in developing countries over the next five years, making it imperative that workers, employers, government officials and policy makers are educated about the potential risks involved in working with industrial chemicals. developing countries over the next five years, making it imperative that workers, employers, government officials and policy makers are educated about the potential risks involved in working with industrial chemicals. There is an urgent need for increased awareness and further research into the neurotoxicity of industrial and environmental chemicals, and psychologists have an important role to play in both clinical and research settings with regard to detecting and evaluating the effects of toxic substances on psychological wellbeing. At present few healthcare professionals receive training in toxicology and are unlikely to consider a toxic cause for a patient’s presenting symptoms. Even if they do, they frequently harbour misconceptions regarding the toxicity of various chemicals and likely health outcomes. So how does a patient who has been exposed to toxic substances typically present and what sort of misconceptions do healthcare professionals usually hold? A case study might help here, taken from a special section of the neuroscience journal Cortex on neurotoxicology in 2016. MP was a 59-year-old fisheries worker who had been exposed to toxic chemicals at work and presented with a 10-year history of deteriorating health, neurological problems and cognitive impairment. MP’s initial symptoms consisted of fatigue and intermittent muscle weakness and he was initially diagnosed with chronic fatigue syndrome. MP presented at emergency departments on several occasions over the next 10 years complaining of intermittent loss of power in his legs (causing him to fall), numbness and loss of sensation in various parts of his body, left-sided weakness, memory, and word-finding and spelling difficulties (commented on by colleagues at work). At one point he lost the power of speech altogether. MP also reported alteration in mood (depression and irritability) for which he was prescribed anti-depressant medication. He was evaluated by a number of different specialists over the years including general physicians, neurologists, psychiatrists and psychologists. Routine medical examinations failed to detect any abnormalities, apart from nerve conduction studies that revealed mild peripheral neuropathy and an MRI brain scan that found a single area of high signal intensity in the white matter of the right temporal lobe. MP’s symptoms were repeatedly attributed to non-organic/psychological factors by clinicians. He was given various diagnoses including pseudodementia, hysterical aphonia and depression. However, MP’s general practitioner was not convinced his condition was psychological in origin. The GP questioned whether pesticide exposure might be to blame, because MP was a part-time farmer, but later discovered that MP handled a substance called manganese on a regular basis at work. The GP concluded this was the most plausible cause of his symptoms. MP’s condition deteriorated as did his cognitive function, which prompted referral for neuropsychological assessment. Neuropsychological assessment found evidence of intellectual decline. Although well-learned skills (vocabulary, verbal reasoning, social comprehension, mental arithmetic) were relatively well preserved and in the average range, performance on tests of visuospatial ability, processing speed, working memory, verbal and visual memory were weak and in the borderline to low-average range. MP’s scores on two tests of executive function were abnormal. Assessment of mood suggested he did not meet criteria for a diagnosis of depression. His symptom profile and progression were noted to have much in common with manganese poisoning, which occurs in three stages and takes up to 10 years to progress. Initial symptoms of manganese poisoning are usually fatigue and weakness. The second stage involves the development of cognitive impairment (memory and language difficulties) and emotional instability. In the final stage, symptoms resemble those seen in Parkinson’s disease. There is no effective antidote for manganese poisoning, and patients will progress through the three stages even in the absence of further exposure. The mechanism by which manganese exerts its effects is poorly understood, but mitochondrial disruption, direct damage to brain tissue and biochemical changes have been postulated. Apart from his GP, healthcare professionals involved in evaluating MP failed to consider a toxic cause for his symptoms. None asked him for details about his job, which meant the fact that he worked with manganese was missed. Even after chemical poisoning was suggested by his GP, several healthcare professionals dismissed it on the grounds that symptoms would not progress over time, a common misconception held by those with little training in toxicology. Furthermore, there was no biomarker of exposure as MP had retired from work before a toxic cause was considered, and this meant a definitive diagnosis was never reached. It is very important that blood tests and brain scans are undertaken as soon as possible after exposure has occurred as toxic metabolites may be excreted from the body within a matter of hours or days and changes observed on MRI often resolve following cessation of exposure. Unfortunately, patients often present long after exposure has ceased, because neither they nor their treating physicians have attributed their symptoms to toxic exposure, by which time routine medical and neurological investigations are likely to appear normal. Neuropsychological assessment however, can be very useful in these situations as it is often sensitive enough to detect subclinical effects. Indeed, it has been described by Muriel Lezak (1984) as the most sensitive means of examining the effects of toxic exposure. Aside from clinical work, psychologists have an important role to play in research studies that seek to identify the cognitive, emotional and behavioural effects of neurotoxic substances. For example, in 2004 I was awarded a grant by the Department of Environment, Food and Rural Affairs to study the neurotoxicity of low-level exposure to organophosphate pesticides. The study involved neuropsychological and psychiatric evaluations of 127 farmers with a history of exposure to organophosphate pesticides, which are potent cholinesterase inhibitors. Farm workers with a history of low-level exposure to OPs performed significantly worse than unexposed control subjects and standardisation samples on tests of response speed, memory, mental flexibility and fine motor control. These deficits could not be attributed to other factors, such as mood or malingering, and correlations were found between exposure indices and neurobehavioural outcomes. However, causation could not be established from this retrospective study as no biomarker of exposure was available, only subjective reports; a common problem in many epidemiological studies. OP compounds are the substance we are most likely to be exposed to at some point in our lives, because they are not only found in many pesticide products, but are also used by industry as plasticisers, flame retardants and anti-wear and extreme pressure additives in lubricants and hydraulic fluids. Between 2006 and 2008 we undertook studies of another occupational group who believed their health had been adversely affected by exposure to OPs, namely aviation workers, who reported that they were routinely exposed to OPs contained in engine oil fumes. We published several articles on this subject and gave evidence to various government committees over the years; but again, no firm conclusions have been reached, and this topic remains highly controversial. The aim of this article is to provide readers with a snapshot of the interesting and challenging world of neurotoxicology and the clinical and research issues that need addressing. An unknown number of us will be exposed to neurotoxic substances during our lifespan, but lack of awareness and education in toxicology mean we are unlikely to attribute symptoms of ill health to toxic exposure, and the same may be true of the doctors we consult. The potential to misdiagnose or fail to diagnose may be high amongst UK physicians as they receive little training in toxicology, despite the fact that it is increasingly relevant in our lives. Clinicians do not routinely ask patients if they work with toxic substances, and many harbour dangerous misconceptions. Common misconceptions include the idea that exposure to toxic substances is rare, when in reality half of the known neurotoxins are regarded as high production volume chemicals that are widely used and disseminated in the environment. Furthermore, an interesting study was published in 2012 by Clarke and colleagues, who undertook a prospective study of 1758 patients who presented to four UK accident and emergency departments complaining of non-specific symptoms (e.g. chest pain, breathing difficulties, headache, flu-like symptoms). They found 4.3 per cent showed signs of carbon monoxide exposure that was unknown to the patient or treating physician. Another common misconception is the idea that ‘the dose makes the poison’, which often gets interpreted to mean only high-level exposure to chemical substances will be harmful. However, research is increasingly finding that cumulative low-level exposure to chemical substances can be detrimental to health; that exposure to more than one substance that uses the same metabolic pathway in the human body may lead to increased toxicity, in the same way prescribed drug interactions can cause ill effects; and that inter-individual differences exist in the capacity to metabolise certain substances. Other misconceptions that lead to misdiagnosis include the idea that there should never be a time lag between exposure to a toxic substance and the onset of symptoms and that symptoms should not progress following cessation of exposure; yet there are a number of substances that cause delayed neurological and psychiatric effects, such as methyl iodide, manganese and carbon monoxide, to name but a few. Furthermore, many clinicians appear sceptical with regard to the possibility that industrial and environmental chemicals affect health, yet physicians exhibit no such scepticism when reflecting on the potential toxicity of prescribed medications (e.g. drugs used in oncology that can cause cognitive impairment), recreational drugs and alcohol. Furthermore, clinicians often fail to consider the possibility that neurological and psychiatric symptoms might be caused by a mechanism other than the commercially exploited mechanism of action of a substance. For example, the commercially exploited action of OP pesticides is their ability to inhibit cholinesterase, but animal studies have shown that they interfere with many other bodily systems and have a wide spectrum of effects. Successful treatment of chemical poisoning requires early diagnosis and cessation of exposure, but the misconceptions listed above increase the likelihood of missed diagnosis. Although services exist in the UK to treat individuals suffering from acute exposure to toxic substances, there is no provision for those who report chronic ill health, and I can’t help but question how many patients with medically unexplained symptoms and chronic health complaints or those referred to chronic fatigue or chronic pain clinics, may actually be suffering from undiagnosed chemical poisoning? There is an urgent need for further research as the potential toxicity of many substances remains unknown, as does the long-term prognosis for individuals exposed to them. Our knowledge regarding the biological mechanism of action of toxic substances is continuously evolving. Although an increasing number of toxicological studies (clinical and epidemiological) have appeared in the literature over the last four decades, they differ in terms of methodological quality, study design and study populations making it difficult for researchers and policy makers to determine whether the human health risks of exposure to various industrial and environmental chemicals have been under or overestimated. Although a subjective component will always remain in the process of systematic review, such methods could prove useful in terms of reducing bias, increasing transparency and identifying potential reasons for disagreement. Significant methodological challenges remain. It’s difficult to establish causal links between exposure and ill health, due to the non-specific nature of symptoms reported across neurotoxicological studies, and it’s also difficult to obtain objective evidence of exposure or corroborating medical evidence. The results of routine medical tests are frequently normal, particularly if they have been undertaken after exposure has ceased (with the exception of neuropsychology which appears sensitive enough to detect subclinical effects). We need to identify sensitive, reliable and valid outcome measures and agree suitable testing protocols with other researchers, so that results can be aggregated and direct comparisons made across studies. Much could be gained from collaboration with colleagues undertaking research in addiction to illicit drugs as they face similar methodological challenges as toxicologists; and researchers in brain imaging and biomarkers of nervous system injury could provide invaluable assistance in identifying the impact of neurotoxic substances on the brain. Meanwhile, the presumption that industrial and environmental chemicals are safe unless proven otherwise needs to be challenged. ‘My interest in toxicology began early in my career when I worked in general hospitals and undertook research into the neurotoxicity of prescribed drugs used in oncology, diabetic and renal medicine. Over the years my remit broadened to include environmental and industrial chemicals as an increasing number of patients were referred to me who had been exposed to toxic substances in the home or workplace. In memory of Elizabeth Sigmund (1928–2017), who spent many years of her life campaigning against the production of chemical and biological weapons and educating the public, government officials, physicians and healthcare professionals about the risks involved in using organophosphate pesticides. In 1968 Elizabeth Sigmund became aware of the existence in Cornwall of a government operation researching the manufacture of nerve gases. She assembled an ad-hoc collection of scientists and doctors to gather information and develop a campaign to raise awareness of the dangers of nerve gas. This campaign played some part in the progress towards the signing of the Chemical Weapons Convention in 1993 and its ratification in 1997. In the early 1990s and after contact with numbers of West Country farmers and farmworkers who suffered from health problems which they attributed to the use of organophosphate chemicals, particularly those used in sheep dips, Elizabeth started to record and collate these people’s experiences. She made strong connections with doctors and neuroscientists, published a newsletter, briefed politicians and held meetings in Parliament. In 2001 she was invited to meet the Minister of Agriculture who subsequently setup a conference for researchers and from which government-sponsored research programmes were established, leading to a much greater awareness of the long-term effects of low-level exposure to organophosphates. In 1995 Elizabeth received the first Andrew Lees award from Media Natura, a national organisation of environmental journalists, and in 2001 she was awarded an Honorary Doctorate from the University of Plymouth. Studies by Sánchez-Santed et al. ; Stallones & Beseler; Rohlman et al. ; and Zhang et al. ; plus the case study of MP all appear in a special section of the neuroscience journal Cortexon neurotoxicology, published in January 2016, pages 353–475. Grandjean, P. & Landrigan, P.L. (2014). Neurobehavioural effects of developmental toxicity. Lancet Neurology, 13, 330–338. Lezak, M.D. (2004). Neuropsychological assessment(4th edn). Oxford: Oxford University Press. Mackenzie Ross, S.J., Brewin, C.R., Curran, H.V. et al. (2010). Neuropsychological and psychiatric functioning in sheep farmers exposed to low levels of organophosphate pesticides. Neurotoxicology & Teratology, 32(4), 452–459. Mackenzie Ross, S.J., McManus, C., Harrison, V. & Mason, O.(2013). Neurobehavioural problems following low level exposure to organophosphate pesticides: A systematic & meta-analytic review. Critical Reviews in Toxicology, 443(1), 21–44. van Wendel de Joode, B., Mora, A.M., Lindh, C.H. et al. (2016). Pesticide exposure and neurodevelopment in children aged 6–9 years from Talamanca, Costa Rica. Cortex, 85, 137–150.